According to a Ministry of Rural Development report, only 1,60,030 of the total 5,29,284 eligible inhabitations were covered under the scheme in last four years. NEW DELHI: Thirty per cent of villages with a 250-plus population are yet to benefit from the Pradhan Mantri Gram Sadak Yojana (PMGSY) in India despite the Centre’s push to its rural development schemes and the World Bank’s decision to pump in $500 million (Rs 3,250 crore) for the Yojana. Haryana is the best performing states with only a single inhabitation remaining uncovered of the total 5,976. 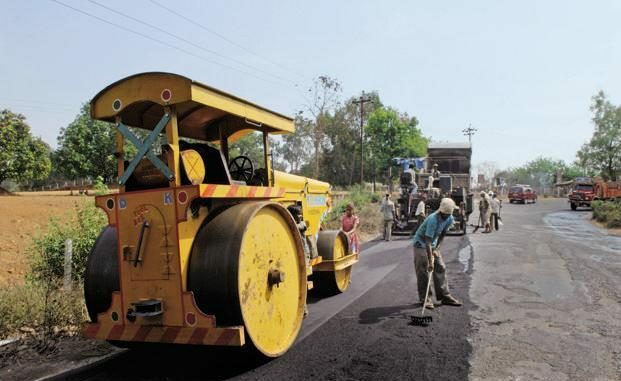 Among other top performers are Karnataka with 462 eligible inhabitations of its total 19,397 awaiting road connectivity. Next are Goa and Kerala. While only 22 inhabitations of Goa’s 823 are uncovered, Kerala is yet to connect 419 of its total 14,222 inhabitations under the PMGSY. “It is not like the scheme is not doing well. If you compare figures before 2014 and now, you will notice a sea of change. The government is fully committed to connecting every inhabitation in the country with roads. Also, now with the World Bank pumping in money, the execution and implementation of the programme will be easier,” a ministry official said. Meghalaya, Assam, Bihar and Chhattisgarh are among the worst performing states. While 70.3 per cent of the eligible inhabitations in Meghalaya are yet to be connected by PMGSY, the numbers for Assam, Bihar and Chhattisgarh are 66 per cent, 58 per cent, and 56 per cent, respectively. In terms of the number of villages remaining unconnected, there are 651 such inhabitations in Meghalaya, about 14,000 in Assam, and about 10,000 in Bihar. Rural experts have different takes on the PMGSY data. While some hail the government for its efforts in connecting every village in India, some are skeptical about the Centre’s efforts. “Connecting 70 per cent of such a vast country with different terrains by roads under one scheme is a commendable effort. I don’t think any other government has done such a good job,” Rishi Acharya of the Xavier’s Institute of Rural Management says. But, Pallabh Bhattacharya of Symbiosis Institute of Rural Studies says the government is not doing enough despite central funds and aid from a global organisation like the World Bank. “It is very disheartening to see the state of roads in the country. Earlier, there wasn’t so much money. Now that even the World Bank has invested in the programme, any result short of a 100 per cent will be considered a failure of government to execute the PMGSY,” he avers.